Sometimes remodels can completely change the landscape and profitability of a property. And for one of the most well-respected resorts in Jamaica, a multi-million dollar renovation was required to help the operation realize the full potential of its unique, Caribbean location. 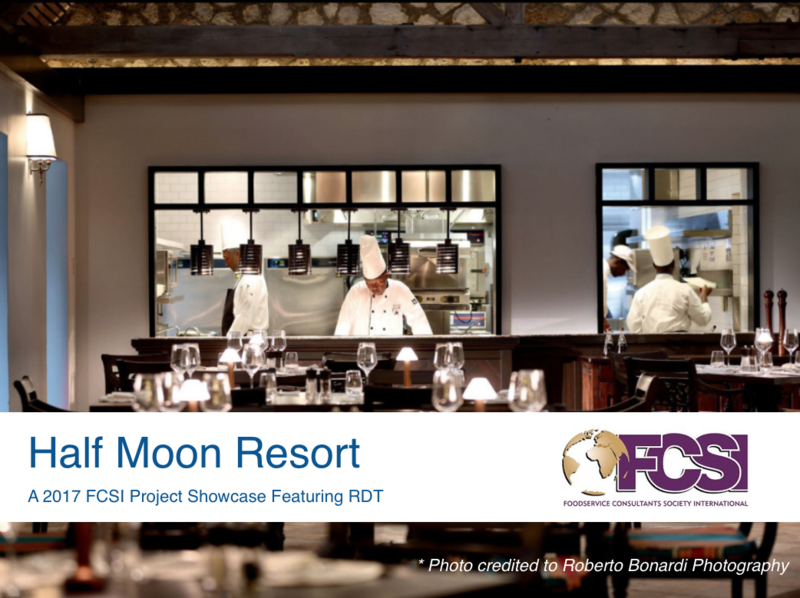 The project was recently featured as a 2017 Foodservice Consultants Society International (FCSI) Project Showcase, and one of the focuses of project consultants was to save on refrigeration costs in the hot, tropical destination. The project was completed by David Chislett, FCSI, Executive Principal with Ricca Design Studio in Denver, Colorado. The goal was to take an already successful fine-dining venture and transform it even further, accentuating its existing assets. As part of Chislett's efforts, he added greater sight lines to the exhibition kitchen, lowered the kitchen floor for better back-of-house efficiency and accessibility, and created a new, temperature-controlled cold kitchen with its own pass-thru right next to the display kitchen. Because of the building's age, additional framework was built to accommodate the kitchen's ventilation needs, and because of Jamaica's high heat and high humidity conditions, remote refrigeration equipment from RDT was used to exhaust both heat and noise outside the kitchen. This means the workspaces themselves will have lower temperatures, which is better for chefs, as well as preserving safe conditions for the foods they prepare. In addition to Eco-Cool remote refrigeration, the Half Moon Resort project also included roll-in rack refrigeration over traditional walk-ins. This improved kitchen flow and brought the chilling areas closer to the prep areas for greater convenience. Since re-opening in December of 2016, reservations and bookings are up at the Montego Bay resort. Revenues have also increased. Learn more about commercial refrigeration solutions from RDT. Sign up for a free one-on-one webinar with one of RDT’s refrigeration experts.